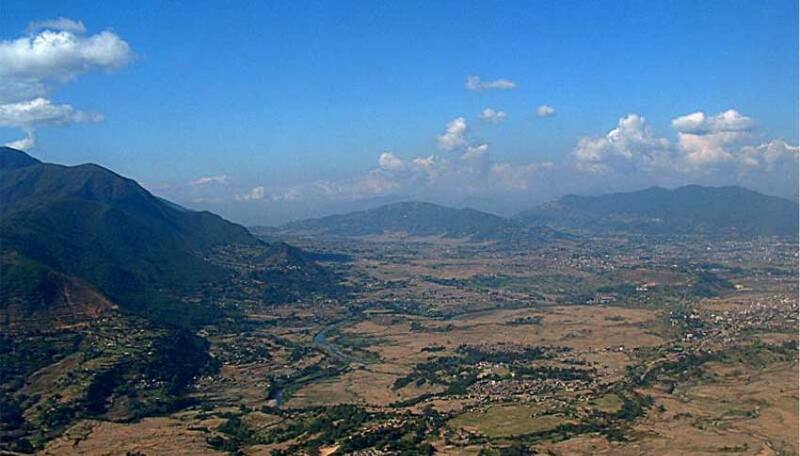 This amazing short trip features many UNESCO World Heritage sites located in the Kathmandu Valley. You will have the chance to immerse yourself in Nepalese history, culture, and tradition. Marvel at some of the architecture of the ancient cities, experience local life in the myriad of narrow cobbled alleyways, visit some incredibly sacred temples where pilgrims come from far and wide to make pilgrimages, learn about Buddhist culture, art and tradition and watch the sunrise lighting the snow-capped peaks of the Himalayas in the golden light of dawn from Nagarkot. This trip is a perfect addition to your trekking tour. Day 1Kathmandu sightseeing – Thamel, Durbar Square, Swayambhunath StupaIt’s the first day of our sightseeing around Kathmandu today. After a leasurely breakfast you will be heading off from your hotel through Thamel and through some of the local areas on the way to Durbar Square. The old quarter here is full of local life, culture, markets and so on. I’ts a great opportunity to see and experience the life of the local people and the traditions of the area. The Kathmandu Durbar Square is located here and features many narrow roads, temples, museums etc. This entire area is a UNESCO World Heritage site. Even though parts are quite badly damaged from the earthquake it’s still full of interesting and historical places. After this we can stop for some lunch before heading off to Swayambhunath Stupa. Located within walking distance from Thamel to the northwest of Kathmandu Durbar Square and Thamel it is situated on a hill overlooking the city. Also known as the “Monkey Temple” because of the hundreds of monkeys in the area it is a very sacred place for Buddhists and also for Hindus because of the Hindu Temple there as well. In the late afternoon the golden hues of the sun shine on the stark white of the stupa bathing it in golden light. The sunset over the valley from here is also very beautiful. In the early evening the stupa is often lit up with lights giving it a magical appearance. We stay here to watch the sunset before returning to your hotel. In the evening we will be having a traditional Nepali meal and enjoying a cultural show which is a great introduction to Nepali cuisine and traditional dance. Included meals – breakfast, dinner. Day 3Nagarkot sunrise – Kathmandu sightseeing – Pashupatinath, Boudhanath, Patan This morning we will travel before sunrise to the lookout tower in Nagarkot. From here we can watch the sunrise over the majestic Langtang Himalaya to the north. On a clear day from here we can see many huge snow capped peaks. After sunrise we travel back to our hotel for breakfast before heading back to Kathmandu. On return from Nagarkot we explore the ancient city of Patan, this is another UNESCO site and the third of the ancient cities of Kathmandu. It is filled with temples, history and architecture and is particularly well known for the artisans of the area that produce many locally made handicrafts. After lunch we go to Pashupatinath Temple located on the Bagmati River. This is one of the most sacred Hindu pilgrimage places in Nepal. The Temples here are dedicated to Lord Shiva and this is the place that Hindu cremations take place. A feature here is the many sadhu’s (holy men) that can be photographed by tourists and are quite a delight with their painted faces and colourful clothing. From Pashpatinath we head to Boudhanath Stupa which is nearby. This is one of the most important Buddhist pilgrimage places in Nepal. With rich Tibetan culture and tradition predominating in the area. The stupa is the largest and is surrounded by monasteries and gift shops selling buddhist items. We can enjoy watching the sunset from one of the rooftop café’s here and watch the stupa lighting up at nightfall.